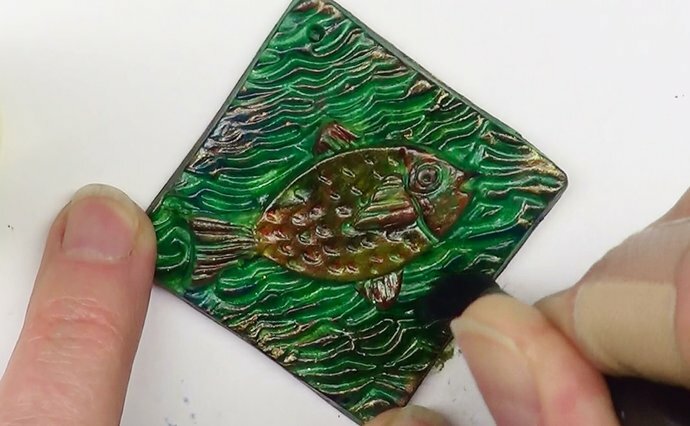 Make a small gift for the guys, someone that fishes for sport or just because! Or His and Hers key chains. 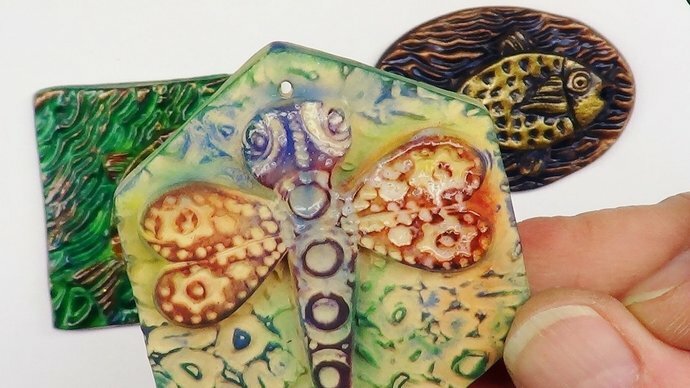 A variety of things in this tutorial: sculpting, molding, casting, painting with alcohol inks, gilding, and assemblage. First sculpt a Fish and a Dragonfly, and then create molds with backgrounds. Next, add a subtle and soft color, or another that is much bolder and vibrant. Some paints are optional but demonstrated. 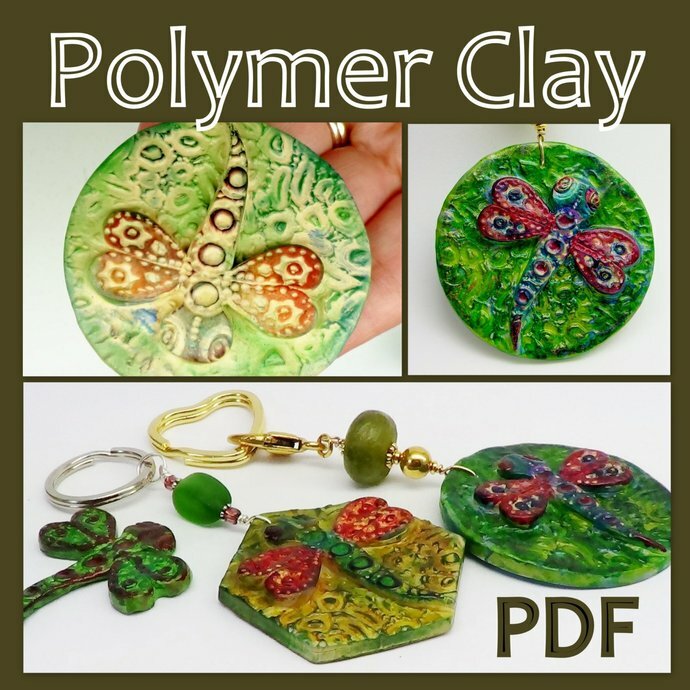 The projects here can be used for key fobs, pendants, pins, key chains or even box tops. 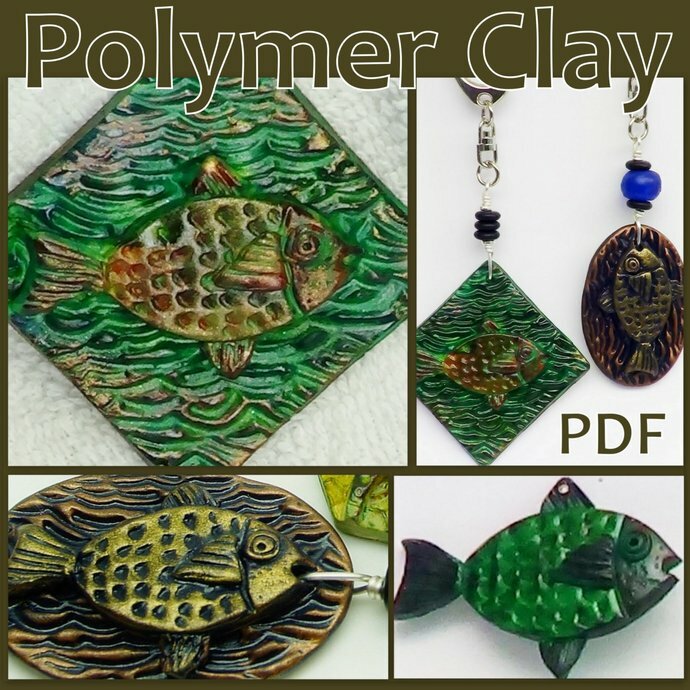 The Fish tutorial consists of 35 photographs, 38 steps, 12 pages, the Dragonfly has 49 photographs, 59 steps and 17 pages, both with a List of Tools and Materials, in 2 instant pdf file downloads. The precise instructions will guide you to create the projects outlined. The File is a compressed zip file as it contains 2 tutorials. It will be ready for DOWNLOAD once payment has been confirmed. You'll be sent an email letting you know that your file/s are ready to download. (This email is in addition to the purchase confirmation email). You should then also see a "Ready to download" button on your Purchases or Receipt page (You need to be logged into Etsy to access your Purchases or Receipts page.) If you have any questions, don't hesitate to convo me. 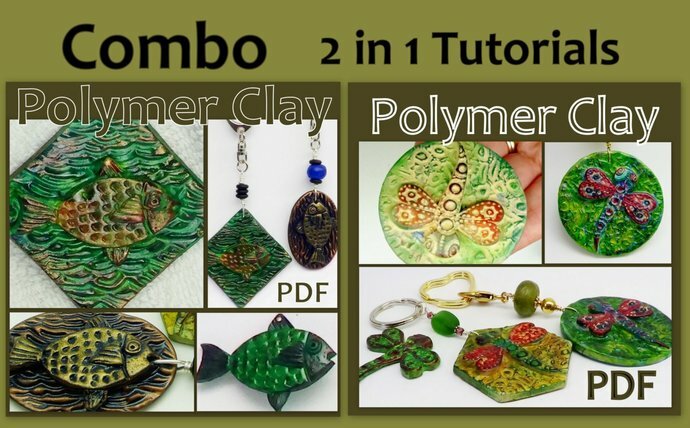 Currently only my Tutorials are available for download as I rearrange my shop. My molds, silkscreens and other items will become available again mid-May. Sorry for the inconvenience.